Tiffany is a Bay Area native who studied in the Music Recording Program at San Francisco State. 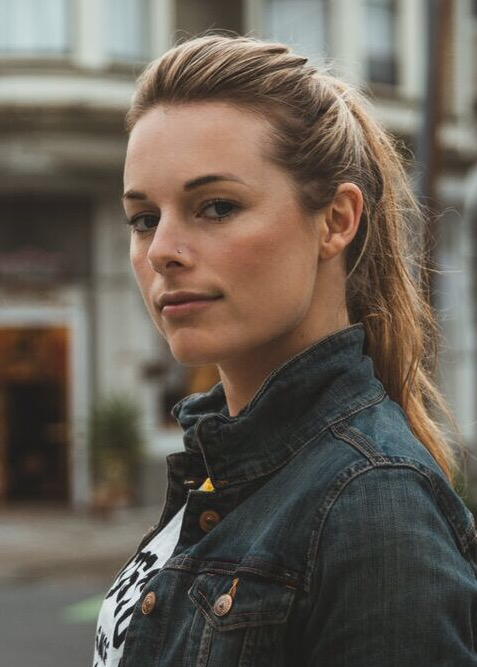 She started in the industry with an internship assisting the Dirtybird crew at Om Records before moving on to digital marketing agency Fame House, where she dived into social media strategy and artist relations. She’s gone from agencies, to nightclubs, to newspapers, before coming full circle back to where she feels most at home - working for a label devoted to giving its artists the foundation and support they need for success. Rarely serious, usually working, and always in group chats full of memes. Born on an Island off the east coast of Canada, Tim Vickers AKA Grandbankss moved to the states at a fairly young age and began studying music and double bass. After spending 10 years producing/music directing bands in the San Francisco Bay Area Pat Brown took him under the wing of different fur and gave him a place and resources to write and produce at a professional level. A long time electronic music fan, Tim's influences run from Bjork, Arca and Mount Eerie, to Clams Casino, the RZA, and Shabazz palaces. Bay area native Bobby Renz has been actively playing live music, producing and songwriting in and around San Francisco for over 10 years. After spending many years doing self production in home studios, he’s found a home at Different Fur Studios doing production and songwriting for Text Me Records. Working on a wide range of music from pop, experimental, R&B, hip hop, indie; his influences range from Charles Mingus, Fela Kuti, Alton Ellis, Brian Eno, Sly Stone, to Bon Iver, Travis Scott, Major Lazer, Rihanna. Romeo Richard Little aka BRUH FROM LAST NIGHT aka little daddy wasn't actually born anywhere. It crash landed on earth to save the planet and find the 7 dragonballs with his sidekick Mikos Da Gawd and the help of the Text Me Force. He has a voice of a drunken angle oh i mean angel. The two oozies on his face represent good and evil and its divide in the constant battles we face (all on top of the dome)... after he defeats his arch nemesis, DDot. Don't Trip. I got y'all the end. Originally from Sacramento, CA, or Iceland where she likes to convince people, Lien grew up on punk, and jazz, which pushed her to pursue a B.A. in Music at UCDavis. There she took the classical route in ethnomusicology/percussion performance. During that time she became deeply ingrained in the college freeform radio station KDVS 90.3fm which exposed her to a lot experimental music. Over the years she has played in Cat Problems, World-Losers, and Backward Beast as a drummer. She now plays drums/sings in Kat Morgan and drums for Heather D'angelo (Au Revoir Simone). Aside from that she just finished composing the score for "The Foundation presents: X" feature length film. She now works as an engineer, designer, and community organizing at Different Fur Studios in San Francisco. She produces and writes for Text Me Records and is 1/3 of LMSFN music organization both based in San Francisco. She also works with Matthew Pereira under the name LIEMA for their film audio company. Her newest project is with Nancy Tran for the EP ‘Tomorrow, for sure’ coming out in 2019. Nancy and Lien where awarded a grant from Red Envelope Giving Circle to fund this project. Currently Lien is working under the producer name, Leviathe, on projects of Au Revoir Simone, Marie Jenkins, Tia NoMore, Coco Layne, NBC, Patrick James, and Nenci. She is also working on her upcoming solo EP projected to be out in 2019. 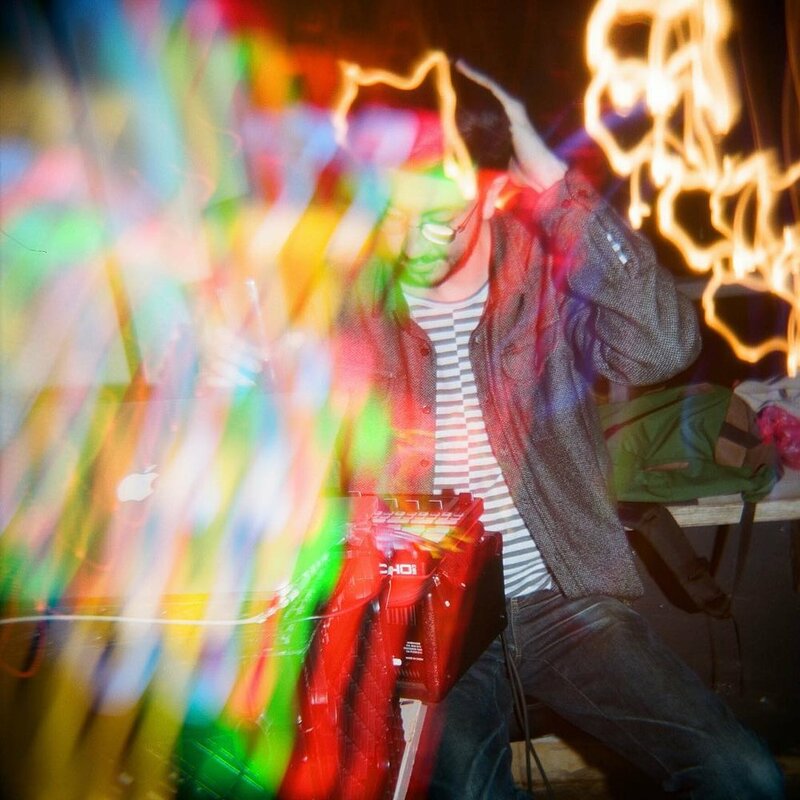 Born and raised in the Bay, Matt Pereira has been producing anything from electronic music to sound design for film, for almost a decade. Experienced in all forms of synthesis, you can often find him creating textured and animated sounds in his free time. After several years of producing and schooling, he has joined the Text Me Records crew as a Producer/Song Writer, taking influence from artists such as Deadmau5, Skrillex, & Feed Me. Also known by his producer moniker Kōmak, he has released several energetic electronic singles such as XYZ & Sanctuary through Text Me Records. Many of the successes and relationships Sam has had since, are directly related to the time spent busking. For instance, Sam recently joined Andy Grammer for the West Coast portion of his “Honey I’m Good Tour,” performing live in front of thousands each night as Andy’s only opening act. A writer, producer and recording artist with a knack for reinvention, you never quite know where Will Butler will pop up. Currently churning out infectious, gritty pop hooks under the name Social Work, Butler also collaborates with many artists on the Text Me Records label. Legally blind since his teens, Butler crafts his productions with a clever mix of adaptive techniques, to the point where some people forget he can hardly see. Follow Social Work on SoundCloud and read Butler's writings in VICE, The New York Times and more. A mountain kid living in San Francisco, Shannon Harney blends forest folk and indie pop for a sound described as "a three-way mix of Fiona Apple, Joanna Newsom, and a sudden summoning of strength from a wounded bird." After touring the west coast with SF darlings Be Calm Honcho for the past three years, Shannon is stepping out on her lonesome to hone her lyrical dark magic. Her songs range from aggressive to docile and prove she's just as ready to strike as she is to recoil. Windmills is Los Angeles based Singer, Songwriter, and Producer Wayne Mills. Established in 2007, Windmills has released multiple Eps such as ‘The Fire’ and ‘We Move Air’ both released to cassette, in addition to his April 2016 release of ‘UNVRSL’, and upcoming 2017 LP ‘Call Me Crazy’. Mills also plays Electric Guitar for the San Francisco based Indie Rock group Owl Paws. Went to Los Angeles Music Academy with a focus in composition and guitar playing at first, and then transitioned into bass and drums. Won auditing rights and scholarships to CalArts and Musicians Institute where necessary information was also gathered. Grew up in a persian household which manifested a serious a love for world music and, somehow, soul/funk and R&B. Eventually becoming a self taught digital producer and keyboard player as well, with the hopes of finding a path to consummate expression and honesty through the art of music. I have done session playing with multiple instruments and myriad genres as well as composition and arrangement. Works with Cocorosie mostly and a house musician and producer with Different Fur Studios in San Francisco since 2014. Worked as a musician and musical advisor with Oddfuture, Cass Mccombs, Cat Power, Brian Lebarton, Patrick Brown, adventuresOf, Past Life Billionaires, Daniel Lynas, and others. Based in San Francisco and Los Angeles. Text Me Records, forever and a day. C.F. Edley is a carpenter. He wrote and recorded music under the name SAFE. He records now without a name. He's pretty calm about it all.